Guero’s is a funky taqueria and they scored a home run in the margarita department. 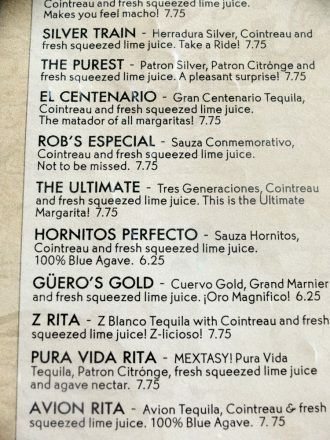 I went for the Purest ($7.75, made with Patron Silver, Patron Citronge, and fresh squeezed lime juice). It was not overly sweet and had a nice kick. I even ordered a second,which I didn’t finish. 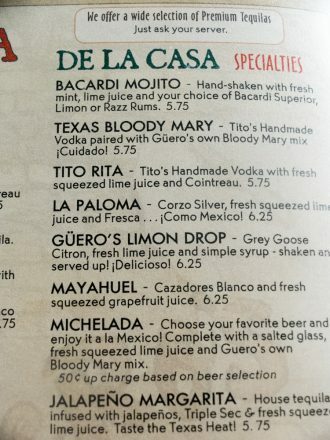 I’m a lightweight but it was refreshing and a great selection for a hot spring day in Austin. 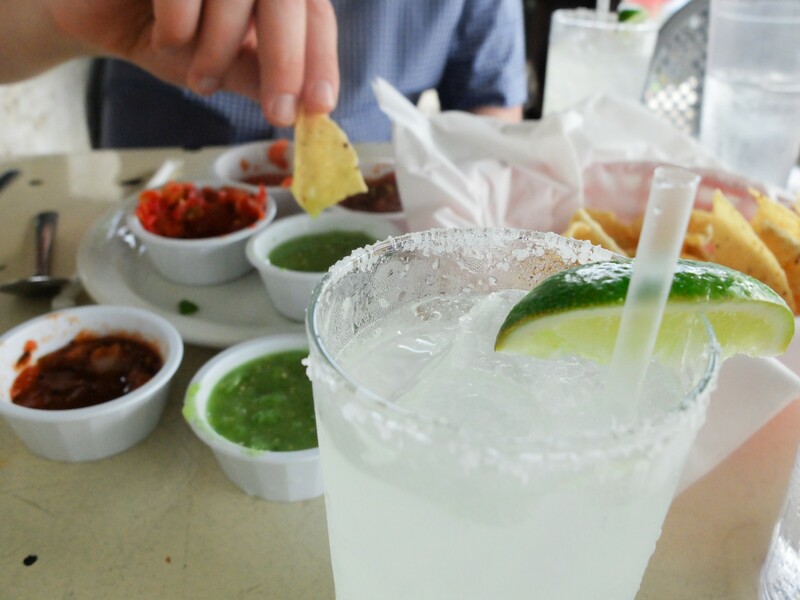 Güero’s has an extensive margarita and cantina menu for those who like their drinks a little more exotic. 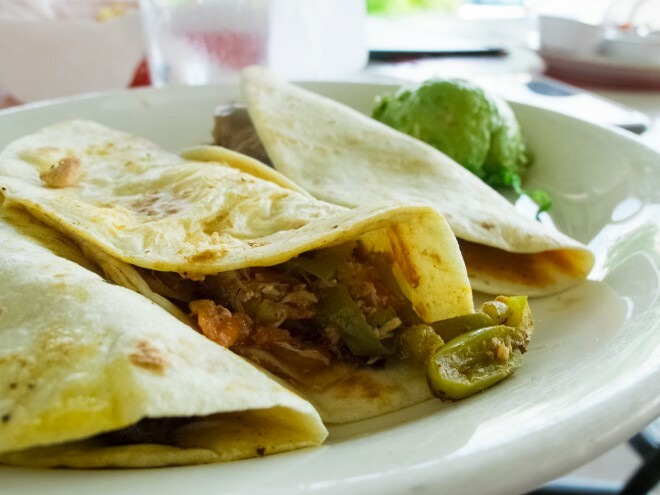 Texas has some quirky laws regarding the sale of alcoholic beverages (especially on Sundays) so if you head to Güero’s for Sunday brunch, you also have to order food. Güero’s had a great breakfast menu as well. 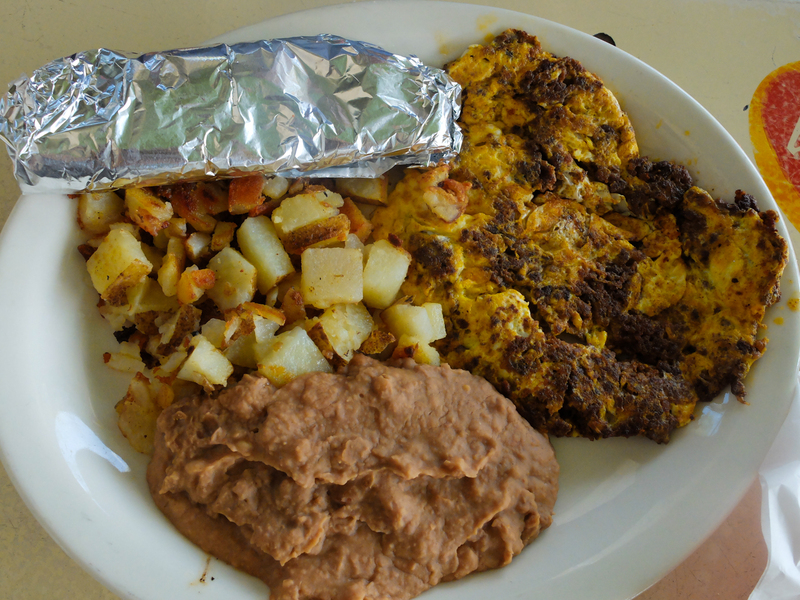 The Huevos Mexicanos for $5.79 got a thumbs up from my husband. I went for tacos a la carte (mine ranged from $3.75 to $3.95 per taco). The menu also had gluten free and vegan options. 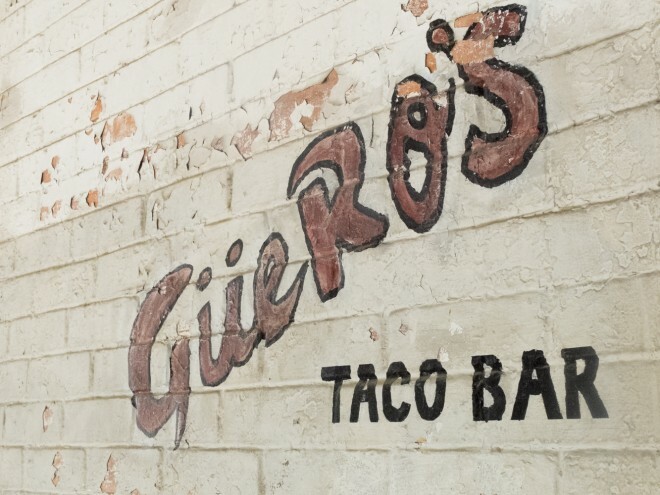 Güero’s is located in a converted old feed store from the 1800s and it was nice to sit outside and watch the action on South Congress Avenue. 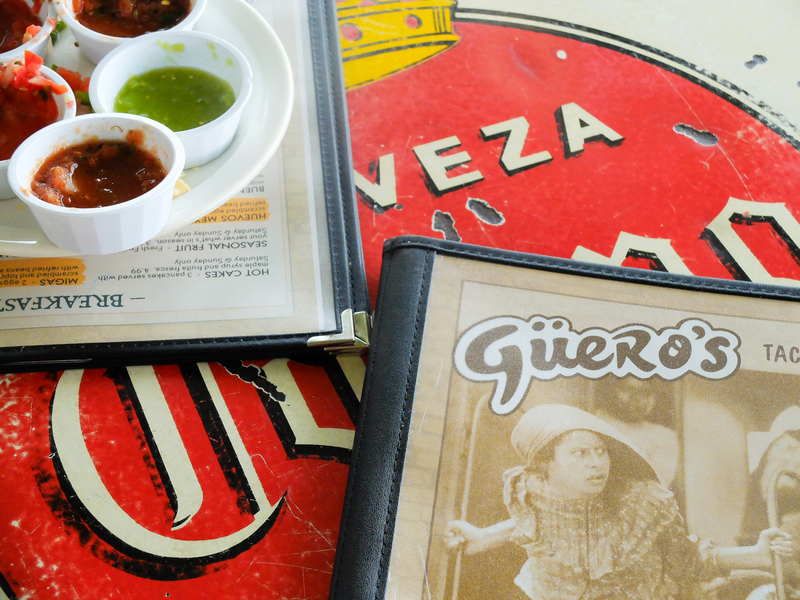 Besides being tasty, Güero’s was a bargain. 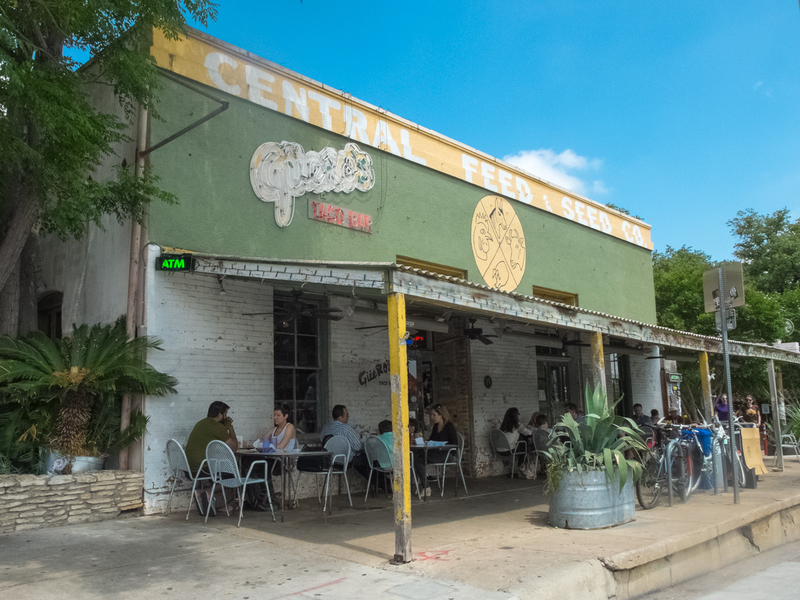 I definitely will be returning on my next visit to Austin. Güero’s is just the sort of fun restaurant that helps keep Austin weird (and cool). It’s definitely worth checking out if you’re looking for a great place to eat in Austin.